After being feared lost for so many decades, Carl Th. 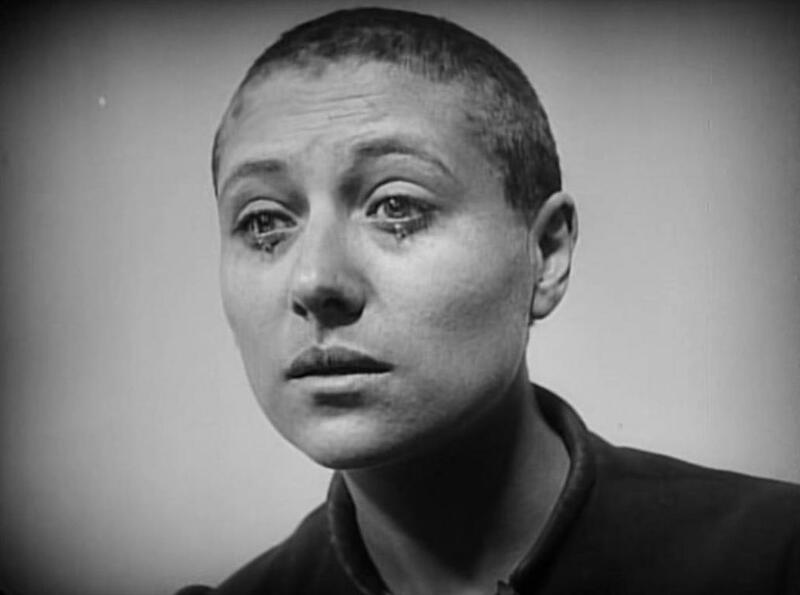 Dreyer's The Passion of Joan of Arc has become a staple on the repertory cinema scene. I've seen the film numerous times and on almost every one of those occasions the film has been presented with a different musical accompaniment – electronic music, classical pieces, orchestral scores or even just a single pianist improvising to on screen events. Dreyer famously intended that his film be screened without any musical accompaniment, but his extraordinary masterwork has invited such a brilliant and eclectic variety of compositions, with musicians being inspired by the film and its legendary central performance. The latest artist to set The Passion of Joan of Arc to music in Irene Buckley. Her score received its premiere at the 2013 Glasgow Film Festival, where it was performed in the city's cathedral, and now it is coming to London for a special event at Union Chapel. This screening will mark the restoration of the chapel's 19th century organ, with Organist James McVinnie participating in the performance of Buckley's score. The Irish composer’s has used the text and the structure of the Requiem Mass to create an evocative new work scored for soprano, organ and electronics, and a sample of her work can be seen below. The Passion of Joan of Arc is one of the greatest films ever made. Dreyer's depiction of Joan's last hours, her trial and her death, offers a spiritual and emotional experience that few – if any – other films can come close to matching, and it features a heart-wrenching performance from Renée Maria Falconetti that will never be forgotten by anyone who sees it. The Passion of Joan of Arc is a miracle of filmmaking. It is a work of art that stands alone, continually challenging us, moving us, inspiring us, and inviting us to study a face that seems to express the essence of cinema itself. The Passion of Joan of Arc will be screened at Union Chapel on Wednesday July 17th at 8:45pm. Tickets cost £15, and can be purchased here.